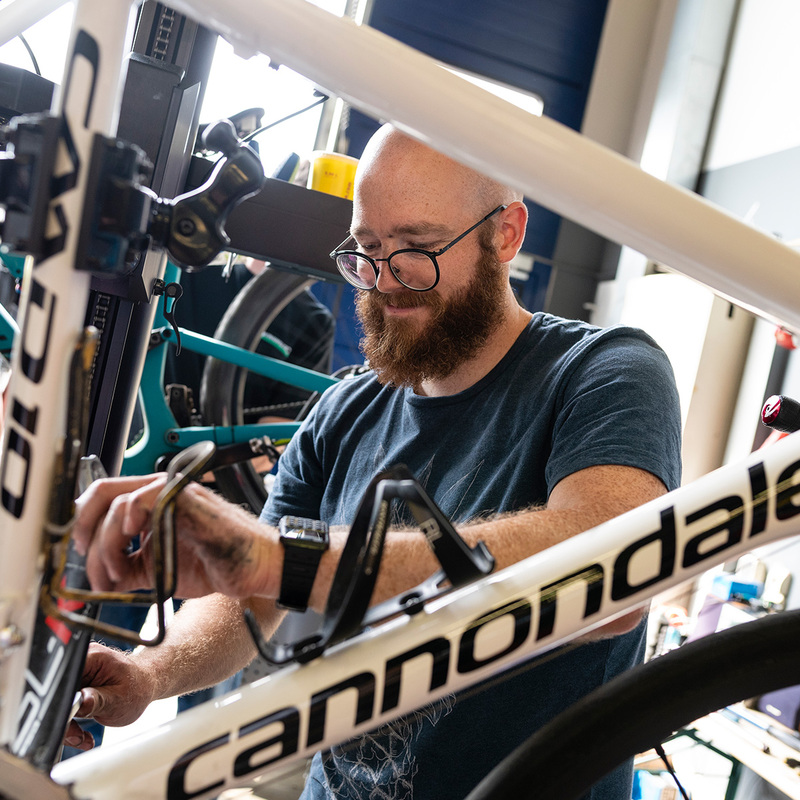 “My colleagues and I work for free at the Ring, only the necessary wear and spare parts are charged,” explains workshop manager Martin Tillmann. However, this only applies to technical problems that occur during the event. The technical service may not be misused for a full annual check of bicycles. Such wishes can only be fulfilled if the capacities of the workshop team allow for it and this service must be paid for by the bike owner. Starting from Friday, the Breuer team will be available in pit 27 with the entire shop including workshop and the full repair program and will take care of damages such as broken chains, bent shift hangers and worn brake pads – around the clock.